The Exit Polls results of Karnataka Assembly elections predicts that the state state will be moving towards a hung assembly. 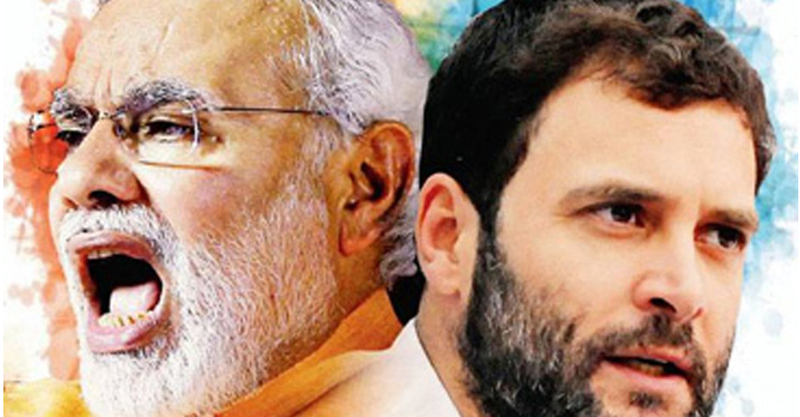 At the same time Polls predicts a tuff fight between Congress and BJP. JD(S) is expected to play the playmaker to make government. Times Now-VMR and India Today-Axis My India said the ruling Congress in the state will emerge as the largest party, forecasting 90-103 and 106-118 seats for the party. They predicted 80-93 and 79-82 seats for the BJP respectively. Voting for 222 of the 224 assembly seats in the state was held on Saturday. Any party will need the support of 113 MLAs to form a new government. The exit polls run by Republic TV-Jan Ki Baat and ABP-C Voter predicted that the BJP will emerge as the largest party by getting 95-114 and 97-109 seats.They predict Congress’ tally at 73-82 and 87-99 respectively with the former prime minister H D Deve Gowda-led JD (S) predicted to get 32-43 and 21-30 seats. If the India Today exit poll said that the Congress may get a majority, the Republic TV predicted that the saffron party may cross the halfway mark. Times Now put the likely tally of the JD(S) at 31-39 while India Today put its figure at 22-30. News X predicted 102-110, 72-78 and 35-39 seats for the BJP, Congress and JD(S) respectively. Karnataka saw a 70 per cent voter turnout today according to the Election Commission. Voting was held in 222 out of 224 seats in a three-cornered contest among the ruling Congress, the BJP and former prime minister H D Deve Gowda’s JD(S). Both the BJP and the Congress ran a spirited campaign in the state with Prime Minister Narendra Modi leading the saffron charge with 21 rallies, while Rahul Gandhi and Chief Minister Siddaramaiah led the Congress’ bid to ensure that it defies anti-incumbency to retain power. The BJP has declared B S Yeddyurappa as its chief ministerial candidate. Counting of votes will be on May 15.